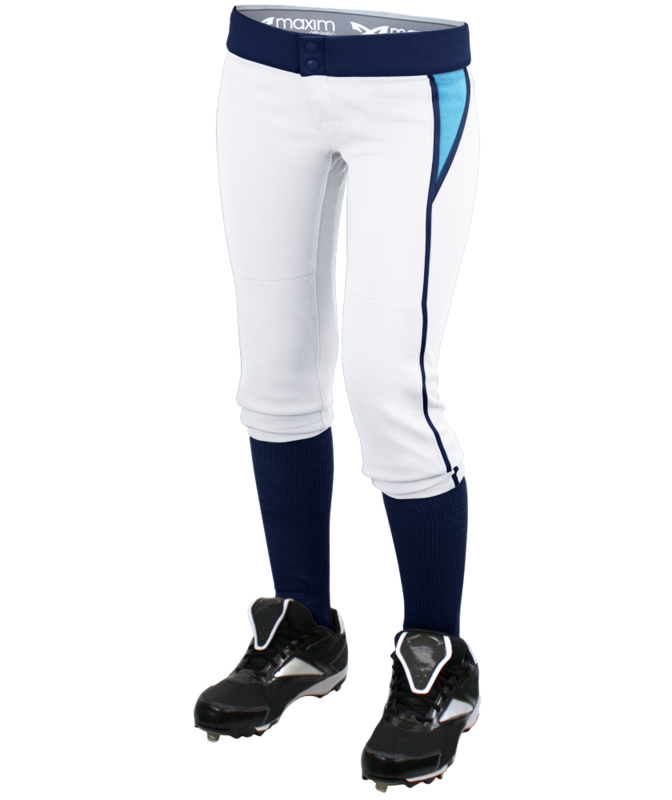 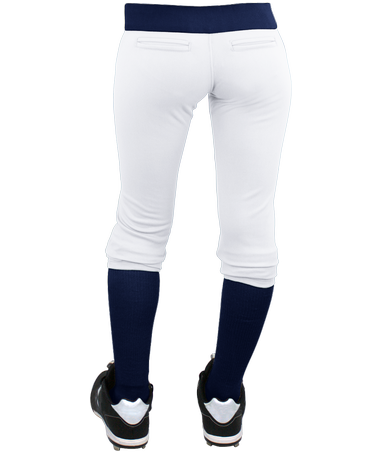 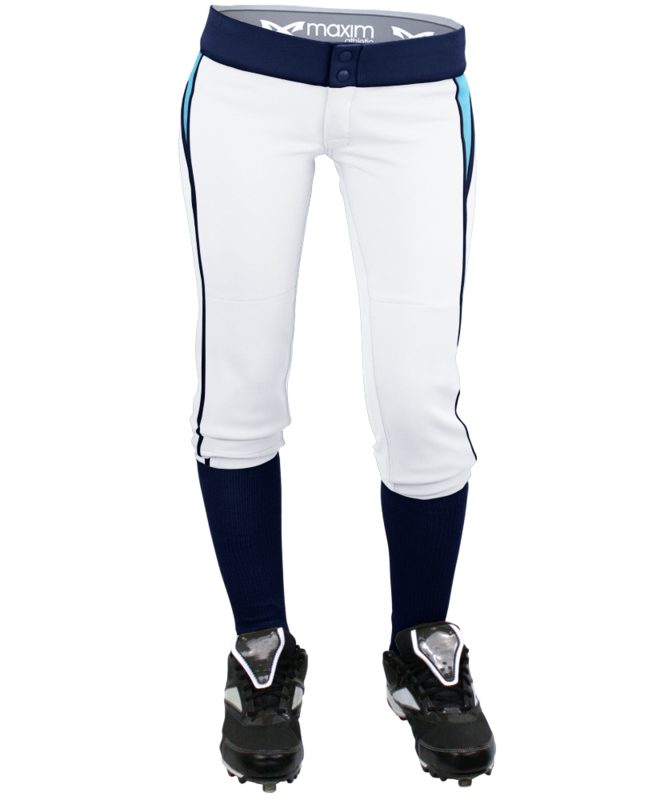 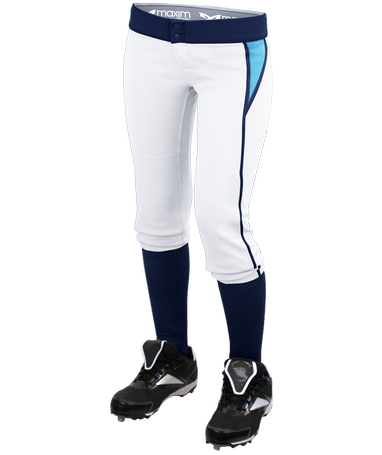 Our low-rise softball pants are featured here in 100% U.S. made Professional Weight Polyester. 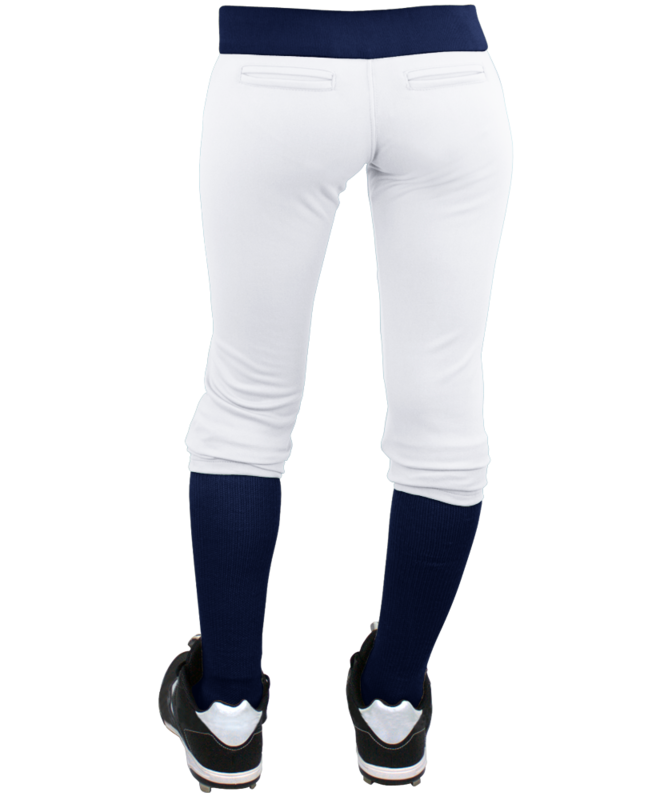 It features an elastic waistband with 2 snap closure with brass zipper, double knees, and elastic hemline. 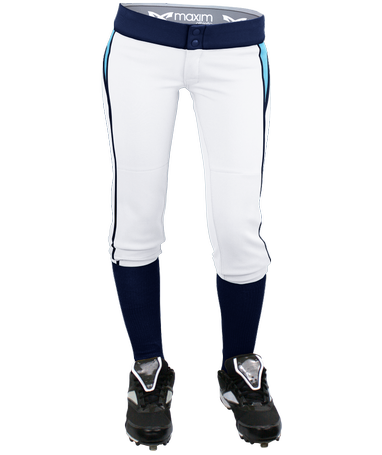 The 2-color way panel allows for a customizable look.